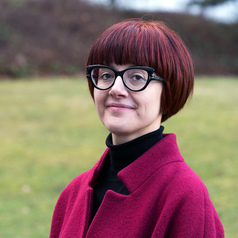 Annalisa Savaresi teaches environmental law at Stirling University. She has several years' experience researching, teaching and working with environmental law. Her research focuses on climate change, environmental liability, and the interplay between environmental and human rights law. Her work has been published in numerous peer-reviewed outlets and has been widely cited, including by UN Environment and the UN Permanent Forum on Indigenous Issues. Annalisa has taught at institutions all over the world, including the University of Edinburgh, Sant’Anna School of Advanced Studies the University of Copenhagen and the University of La Sabana, Colombia. She has served as a consultant for prestigious think-tanks and organisations, and advised governments and governmental bodies. She is member of the IUCN World Commission on Environmental Law, and associate editor of the Review of European, Comparative and International Law.